Buy Malaysian Ringgit in India Easily! Why Buy Malaysian Ringgit via ExTravelMoney? MYR rates can fluctuate dramatically. With Extravelmoney, you can observe and lock the rate when it is favorable. Just pay a small fully refundable rate lock fee & lock the rate for as much as 3 days. The Malaysian Ringgit represented as RM or MYR is the official currency of Malaysia. The currency is issued by the monetary organisation Bank Negara Malaysia as banknotes of 1, 5, 10, 20, 50, 100 RM and coins of 5, 10, 20, 50 Sen, the subunit of the Ringgit. The Ringgit has an exchange value of 12- 17 Indian Rupees. The currency is one among the most transacted because of the popularity in the low budget tourist destinations of Malaysia. Many among the residents of the nation are also of Indian origin who has permanently settled in the country for employment opportunities. Malaysian Ringgit can be exchanged or bought with the help of ExTravelMoney through simple and hassle-free steps. 1. How much cash can I carry from India to Malaysia? If you are a resident Indian, then you carry cash up to US dollar 3000 or its equivalent in Malaysian ringgit and a total of up to USD 10,000 in forex card or traveller’s cheques. Calculate the equivalent quantity of Malaysian ringgit by using the currency converter to convert Malaysian ringgit to INR. 2. What is the best way to take money to Malaysia? The best way to take money to Malaysia would be through a combination of cash, forex card, and debit/credit card as backup. Majority of your money would be safer and easily usable in a forex card (about 60%). The rest 40% can be carried as cash. Use your credit/debit card as backup money in case of some emergencies or unexpected circumstances where the only possibility of payment is through them. 3. Is Malaysian ringgit prepaid card available? Yes Malaysian ringgit prepaid card is available and can be purchased from your bank or from a RBI licensed money changer store in your locality. 4. Can I use Indian debit card in Malaysia? If your Indian debit card is enabled for international transactions then you can use it in Malaysia without any problems. However, using a debit card abroad has many extra charges associated with it which may eat away your money really fast. Instead of overspending by paying your bank unnecessary charges, consider buying a prepaid forex travel card for your Malaysian trip and save money on currency conversion charges, unfair bank exchange rates and Dynamic currency conversion (DCC) charges. For further information, read about the forex card advantages over debit and credit cards. 5. Is Singapore dollar accepted in Malaysia? The Malaysian ringgit is the official currency of Malaysia and as such is the only legally accepted tender there. There may be a few shops or business establishments which might accept Singapore dollars as payment. However, even in that rare chance, the exchange rate they would offer you would be atrocious and you’ll lose a significant portion of your money. It is better to convert your Singapore dollars to Malaysian ringgit by visiting a bank or money changer store. 6. Can you use US dollars in Malaysia? Again, there may be few establishments in Malaysia willing to let you pay in US dollars but the exchange rate they quote would be unfavourable to you. Approach banks or licensed money changers to get your US dollars exchange to Malaysian ringgits at better exchange rates. You’ll have the added freedom to use Malaysian ringgits to pay for payments anywhere within the country without having to worry if they’ll accept the currency. 7. Can I sell leftover Malaysian ringgits after returning to India? Yes you can. Better yet, you can compare which money changer in your city gives the best rate for Malaysian ringgits through ExTravelMoney and easily convert your Malaysian ringgits to Indian rupee. You can sell currency online and even get door pickup of your foreign currency. 8. How many days will it take to deliver the currency? Whether you are looking to buy Malaysian ringgits online or sell them, the whole process will be completed within the same day through ExTravelMoney. If you have opted for home delivery of the currency, it will take place within the same day, if your transaction is completed before 5:oo p.m. Your transaction is considered complete when the money is credited to the money changer’s bank account or deposited at their store (depending on your chosen payment method). 9. 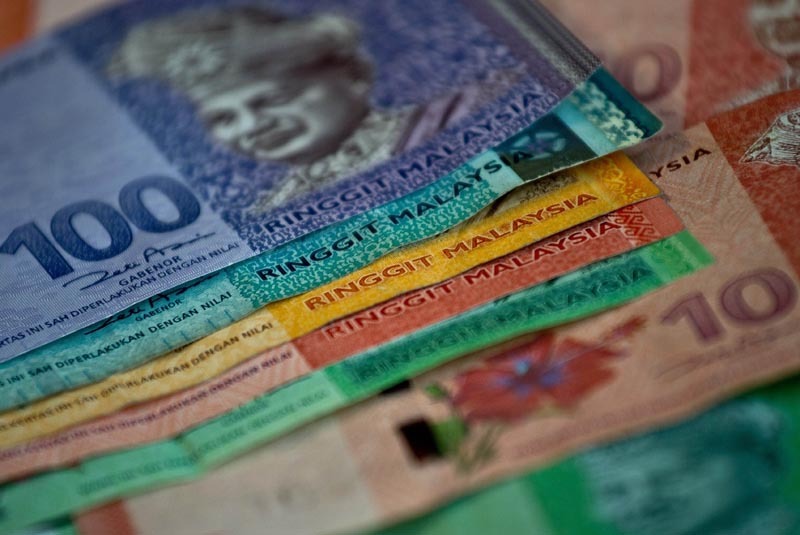 What are the documents required for buying Malaysian ringgit currency? 10. How many days in advance can a person buy foreign currency for travel abroad? A person can buy foreign currency within 60 days of their date of travel abroad. This rule is mandated by RBI. In case, a person is not able to utilise this foreign exchange within the above prescribed period they are required to surrender it to an RBI licensed bank or forex dealer.